If it’s your first visit to Honolulu, you want to make the most out of your vacation by trying only the best Honolulu activities. Waikiki certainly has plenty to offer the first-time visitor, but there’s more to Oahu than shopping and dining. 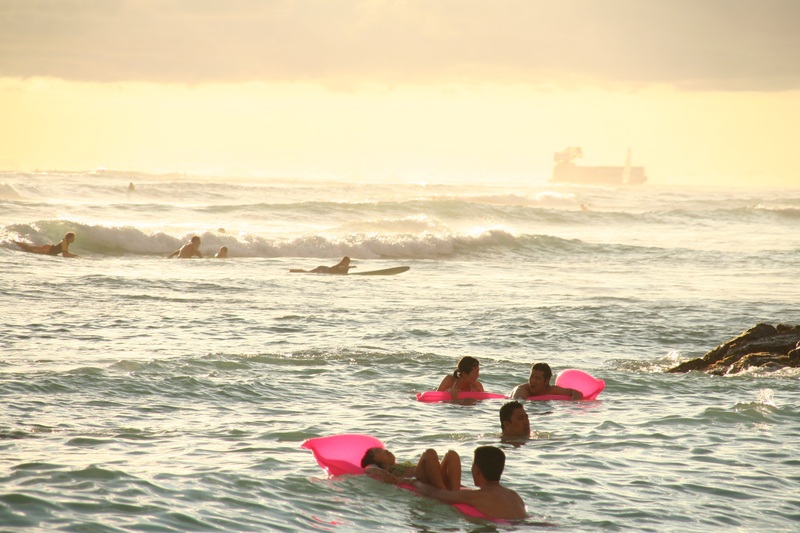 Here are some must-try activities if it’s your first time to Honolulu. A volcanic tuff cone, Diamond Head offers tourists a truly unique hiking experience. It’s close to Honolulu, easy to access, and is one of the cheapest Honolulu activities you can find. Labeled as a US National Natural Monument, this location provides the unforgettable backdrop to many of Honolulu’s most popular resorts. A moderately strenuous hike, the Diamond Head Crater Adventure takes visitors to the crater’s summit, the legendary home of the fire goddess, Pele. When you take this 2.5-hour excursion, get ready to see rugged, natural landscapes, cerulean blue waters, and a 360-degree view of the island’s shore. This tour should be at the top of your list. The Pearl Harbor Memorial is an integral part of United States history. Formed within a volcanic cone, the Hanauma Bay Nature Preserve is one of the most exquisite locations in Oahu. Known to be one of the top ten snorkeling locations in the world, this natural landmark offers grand views and up-close encounters with an exotic marine ecosystem. Whether you’re in the mood for underwater exploration, mountainous hiking trails, or simply some shoreline relaxation, this preserve has something for everyone. Keep in mind that the park is closed every Tuesday and that it tends to get quite busy during the day…so plan to get there early. The Star of Honolulu sunset dinner cruise is an experience that you will never forget. Featuring a delectable 3-course meal and a “welcome” Mai Tai cocktail, the dinner portion alone would make the trip worthwile. Pair that with a cruise through crystal clear island waters, a gorgeous sunset, and the unique “My Hawaii – Beyond the Reef” live show, and you’ve got all the makings for a perfect evening. So settle into your seats, or grab your camera and perch next to the deck railing…this is an unbelievable experience you’ll be talking about long after your return flight home. The Polynesian Cultural Center is an open air park that allows visitors to fully engage with the astounding Polynesian lifestyle. Known as a sort of “living museum” guests will have the chance to experience the culture of Polynesia like never before. For more info about popular tours in Honolulu, as well as other Honolulu activities and Hawaii travel recommendations, visit Hawaii Discount’s travel blog.